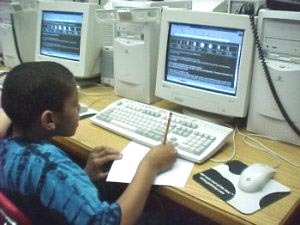 After learning about the rotation, revolution, gravity and moon phases in the classroom, Mrs. Lewis' 3rd grade students explored the Internet to find facts about the moon and its phases. The students opened a PowerPoint presentation created by Mrs. Lewis. 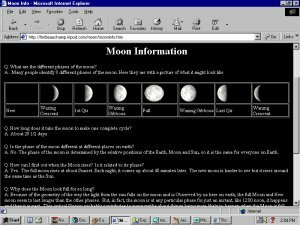 Student clicked on the "i" and launched a web browser which took them to a webpage about the phases of the moon. 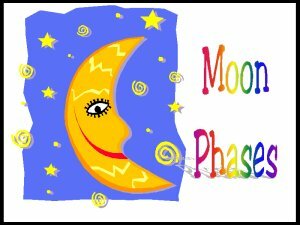 The students read the webpage about the phases of the moon and completed a "Moon Phases" worksheet. 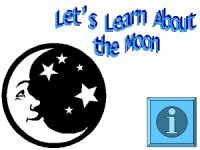 After the students constructed a model of the moon phases on their worksheet they clicked on a link in their PowerPoint slide and launched a Kidspiration template created by Mrs. Lewis. 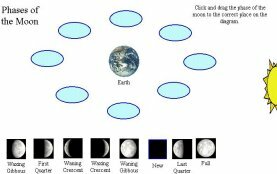 On this template the students were able to click and drag the moon phases to their proper place according to the placement of the sun. 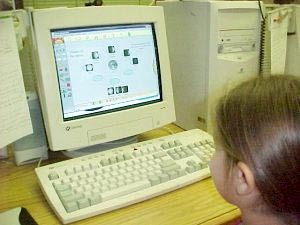 to download the Kidspiration template.